Word travels quickly around Prince Edward Island. So quickly, there’s a saying for it: "Telegraph, telephone, tell an Islander." The W5 team experienced that first hand while producing our story. From Twitter to phone calls, it seems most of P.E.I. knew not only when we landed but where we were staying. And it just underlined the whistleblower stories we came to hear. Whistleblowers Cora Plourd and Susan Holmes worked for the provincial government of the island province just over a decade ago, tied to a program embroiled in so much controversy they’re still feeling repercussions. The main goal of P.E.I.’s Provincial Nominee Program was to increase and diversify the population of a province seeing a decline in its local population. Potential immigrants were encouraged to set up shop through an entrepreneurial stream of the PNP. Soon, an English program was needed for those arriving immigrants. Susan Holmes was on a committee of experts determining which company would get that $4-million contract. After examining various proposals, the committee found one company most suitable in both cost and experience. But, according to Susan, the committee was ordered to split the contract between two companies -- one of which had close friends in P.E.I.’s government. Susan alleged political interference. The program was just starting to unravel. Thousands of immigrants, mainly from mainland China, were jumping at the chance for Canadian residency. But the land of Anne of Green Gables couldn’t be more different than Beijing, and many took their Permanent Residency Cards and fled for cities like Vancouver or Toronto. In a 10-year span, P.E.I.’s treasury bloated with more than $120-million worth of deposits left behind. That’s a lot of new money in a province of just over 150,000 people. The program wasn’t intended to end up this way. In the early days of the PNP, Cora Plourd helped create its admission standards, including which local businesses could get PNP money as an investment. But Cora says she saw those rules “disintegrating”, the program becoming a free-for-all. Money was being thrown at businesses all over the island. The only auditor general review of the program found several high-ranking bureaucrats also received PNP money, including the deputy minister of the PNP and his wife -- to the tune of $1.2 million. He was later ordered by then-premier Robert Ghiz to pay back the money. Cora started taking note of who was getting how much money. And she wasn’t the only one. Her colleague, Svetlana Tenetko, was doing the same. The women eventually joined up with Susan Holmes, with all three women having one thing in common. After pushing back against what they felt was political favoritism, none of the women had their work contracts renewed. So they stood up publicly together. In 2011, Cora, Susan and Svetlana held a news conference to go public with their allegations, claiming that PNP funds were being misused. They felt they had nothing to gain, but didn’t realize just how much they would lose. The Liberal party in power at the time reacted swiftly, releasing personal information about the three now whistleblowers to the media. Six years later, a report by the P.E.I. Privacy Commissioner didn’t conclude who exactly leaked that information, but did find the provincial government responsible for the breach of the privacy rights of the three women. It’s been a hard decision for them to step back into the public arena, but no more difficult than the last ten years have been. After blowing the whistle, Susan told W5 of the nasty trolling she endured online. But it didn’t compare to what she experienced in everyday life. The small island of P.E.I., where everyone seems to know your business, quickly became even smaller as Susan was forced out of her social circle. Friends became polarized, acquaintances made assumptions and strangers made snide remarks. But once in a while she’d relish hearing a kind word. That, along with her kinship with Cora, helped her through. Cora was also dealing with her own heartache. Her husband at the time was very ill. Under the stress of being a public target in P.E.I., Cora still breaks down at one thought -- that she failed at giving him all she could in the last year of his life. But looking back, both Cora and Susan feel they had no choice but to blow the whistle about what they felt was government corruption. Not for themselves, but for all Islanders. Watch W5's documentary "Buying In" on Saturday, 7 p.m. on CTV. 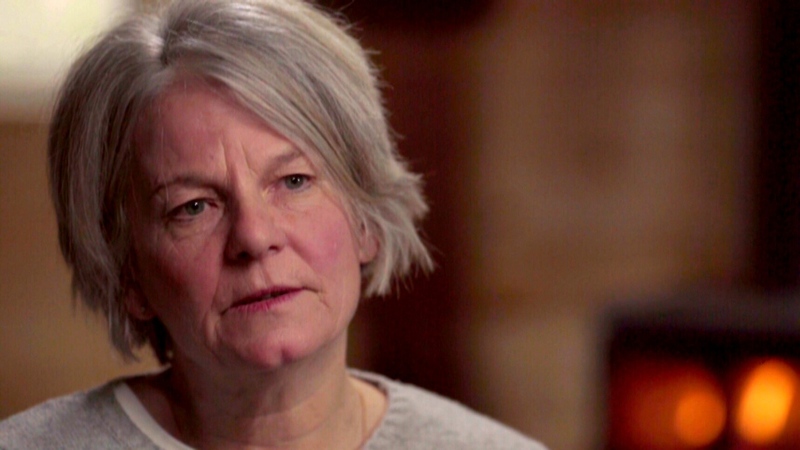 "People started not to look at you because they knew you were a dead man walking," whistleblower Cora Plourd told W5's Kevin Newman.